If you ever tried to explore the possibilities of the Internet (shopping,..etc) or make some money online you definitely came across a lot of scams and perhaps, unfortunately, you fall for some of them or you’ve at least come pretty close. There are many different types of them like email scams, shopping and survey scams are the most common. If you really want to build an online business and learn how to make money online you can join us at Wealthy Affiliate for free. You only need an email. 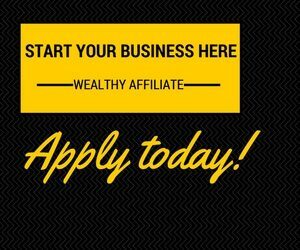 You can also read my review about Wealthy Affiliate for more information. The email foreign lottery scam is one of the most common. They request your information and your personal details like your full name, date of birth and street address. The lottery doesn’t exist, the sender is usually a person which of course you don’t know and often the email contains spelling and grammatical errors. They just want to steal your identity and drain your bank account. Simply don’t reply to the email and don’t click on any links or open any attachments. The shopping scams where they pretend to be legitimate online sellers, either with a fake website or a fake ad on a genuine retailer site. They will often ask you to pay using a money order, pre-loaded money card, or wire transfer and does not allow payment through a secure payment service such as PayPal. If they don’t offer you a way to contact them through their website you should stay away. If they also don’t provide you with any support about their products even if you send them an email you shouldn’t buy. Legitimate sites will respond to your email in less than 48 hours. The shop online and get rich now scam. 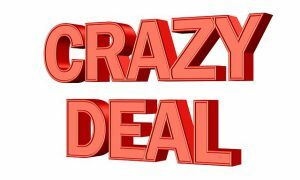 They offer you hundreds of dollars every month or every week (you know the sky is the limit kind of stuff and nonsense like that) and the only thing you need to do is shop. Of course, no experience or any kind of education is needed. But you need to send them first some money so you can get your training/study materials or something like that and if you do you will wait for a very long time to receive absolutely nothing. Sometimes they will send you a check first as a payment but they will ask you to send some of the money back to cover your training. You shouldn’t do that because the check is fraudulent. The instant success and how to become a millionaire today scam.You can identify those scams from the ridiculous promises they use like “You can just put up a Web page, do nothing, and cash huge checks–there is no work required!”, “You don’t need to know anything about the Internet or Marketing to make money”, “Begin now and make $10000 in the first month”. If there is a picture of a mansion in a tropical island in their website, or a Ferrari or a yacht just close it and stay away. Also, if you come across sites that promote or sell products through videos only it’s a scam. Especially if there is no real content in them. You should also stay away from websites where all you can see is some expert who knows everything, including some hidden knowledge but he is ready to share it just with you and teach all the tricks. The online survey scam. All you have to do is fill out some surveys and you will get paid hundreds of dollars every week. Simply that is a lie. Usually, you have to pay some money in the begging to teach how to do that. But even if you don’t have to pay anything you will make very little money even if you try your best. The reason is because simply they will not pay you. From the 10 surveys you ‘ll fill out they will only pay the 3 and the money are usually a few cents per survey. They use all kinds of cheap excuses not to pay you. Now, that doesn’t mean there are no legitimate online survey companies but is almost impossible to find them. Just do a Google search and you will found out the millions of sites that are out there. If you decide to follow that you almost certainly end up feeling disappointed and cheated. It’s just not worth it.